Good day Sir, i woold like to ask if this design is suitable on mountain hills or in slanting land? Is there a much bigger design for this? I would like to build this on mountain hills in the philippines. Thank you and more power! This design works best on slanting land. However, it is not recommended in rainy climates because anything underground will have water problems. Earthbag is very, very strong. 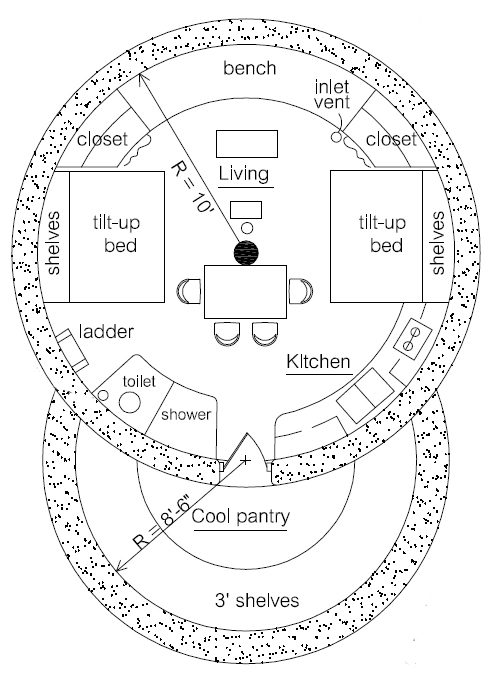 Build an earthbag roundhouse above ground with strong roof, window shutters, etc. and it should withstand earthquakes and hurricanes. I’m really looking forward to built one for survival. Just to let you know mold will grow on ALL organic material in the presence of moisture. Mold will even grow on inorganic material if there is organic material on it such as a layer of dust. Mold is everywhere and it is only a matter of time and proper conditions for it to grow. Maybe that’s why paint and wood finishes were invented. One of my concerns with any underground home is the build up of humdity and mold. Doesn’t your home require and constant movement of air? 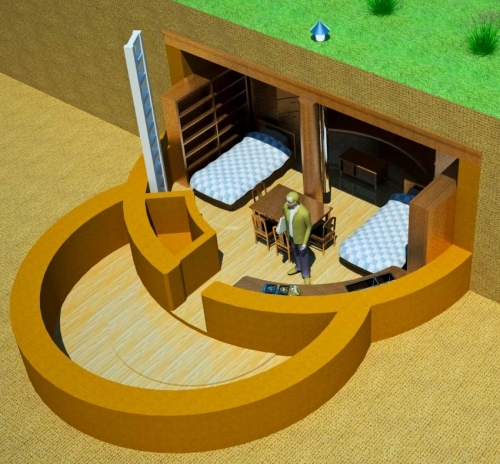 Every underground home requires good ventilation. Above ground houses do too. 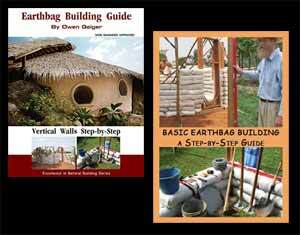 If you build with earthbags, clay plaster, etc. there is nothing that will mold. Hi! Ok…this shelter plan is just plain cute. Will you allow me to PIN it on my Pinterest Page…Floor Plans? I would be sure that your link works. I hope so! I think lots of people would find this interesting and unique. Sure, but you don’t have to ask. Fair use on the Internet allows this if you provide credit.